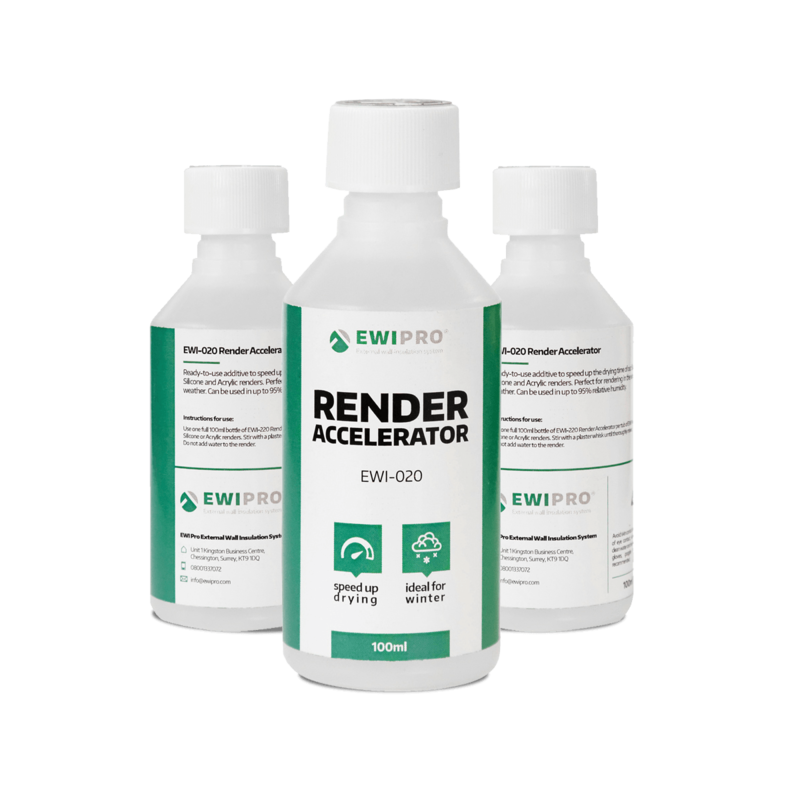 Render accelerator is a ready-to-use additive, designed to speed up the drying times of our Premium Bio Silicone, Silicone, Silicone Silicate and Acrylic Render. This is ideal for use when carrying out rendering works in the winter or in cold weather as lower temperatures can have a negative impact on the curing rates of renders, thereby causing problems with the render further down the line. 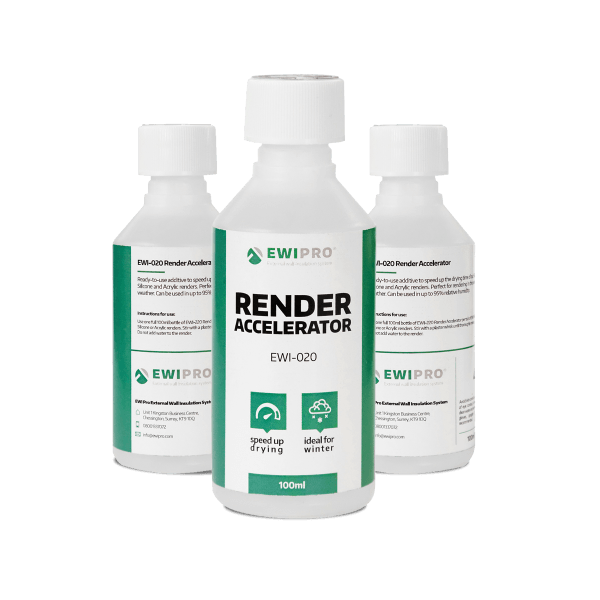 The EWI-020 is designed to limit these problems, allowing installers to continue using thin coat render products even in colder climates. When installing in cold conditions, the product is the ideal solution for preventing issues related to render curing. Accelerator should be poured directly into the bucket of render and mixed thoroughly before use. We recommend using 100ml of accelerator per 25kg bucket of render. EWI-020 comes ready to use in 100ml bottles.